Samsung Electronics is bringing its latest flagship phones into India through Flipkart. The retailer just announced that prospective buyers will have the option of pre-ordering both the Samsung Galaxy S8 and Galaxy S8 Plus starting tomorrow, April 19 at 12 PM local time; however pricing details haven’t been disclosed yet. The smartphone duo will apparently be launched in India exclusively through Flipkart, which doesn’t come as much of a surprise given the company’s previous ties with the retailer. The Samsung Galaxy S8 series is available in two main iterations, each powered by a different system-on-chip. With that being said, while the flagship relies on the Qualcomm Snapdragon 835 chipset in the United States, the Samsung Galaxy S8 and Galaxy S8 Plus will launch in India with the Exynos 8895 SoC. This also means that while the US model sports the Adreno 540 graphics chip, the variant for the Indian market will carry the 20-core Mali-G71 MP20 GPU. 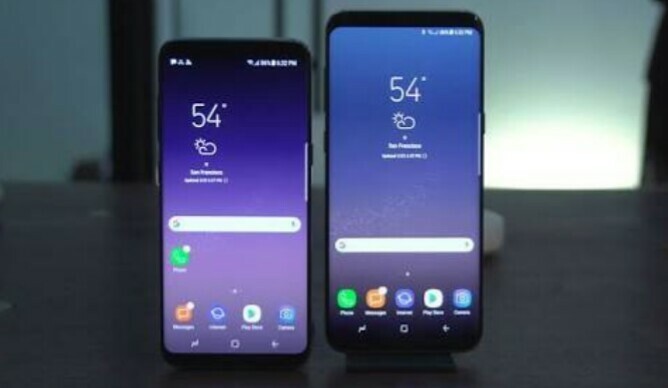 Either way, the Samsung Galaxy S8 features a 5.8-inch Super AMOLED display with a resolution of 2569 x 1440, while the Samsung Galaxy S8 Plus is equipped with a larger 6.2-inch panel boasting the same resolution. They both carry 4GB of RAM, 64GB of internal memory expandable via a microSD slot by up to 256GB, a 12-megapixel main camera with an f/1.7 aperture and optical image stabilization (OIS), and an 8-megapixel front-facing sensor for selfie enthusiasts. The Samsung Galaxy S8 draws energy from a non-removable 3,000mAh battery, while the larger Galaxy S8 Plus is equipped with a 3,500mAh unit. Both models feature a fingerprint scanner on the back panel and support wireless and fast charging, the company previously confirmed. In India, the Samsung Galaxy S8 and Galaxy S8 Plus will be available in three color options, namely Midnight Black, Maple Gold, and Coral Blue. Flipkart revealed it will start shipping both devices on Friday, April 21. Pricing details are yet to be officially confirmed, but judging by other markets, the Samsung Galaxy S8 in India will likely cost anywhere between 46,000 and 50,000 Indian Rupees ($712 – $774), while the larger Samsung Galaxy S8 Plus will probably carry a price tag of 55,000-60,000 Rupees ($851 – $928). More details on the availability of Samsung’s new pair of smartphones will follow later this week.